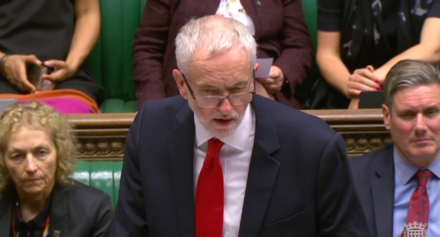 Jeremy Corbyn told the House of Commons today that the “alternative” to Theresa May’s Brexit deal is “not ‘no deal’ but a workable plan”. Responding to the Prime Minister’s latest update to MPs on Brexit negotiations, the Labour leader said: “There is a simple solution: a comprehensive customs union with the EU. A solution that not only helped Northern Ireland but would safeguard skilled jobs in every region and nation of Britain. “No hard border in Ireland and no hard border down the Irish Sea. Good jobs for every region and nation. That is a deal that could command a majority of support in this House, and the support of businesses and unions.